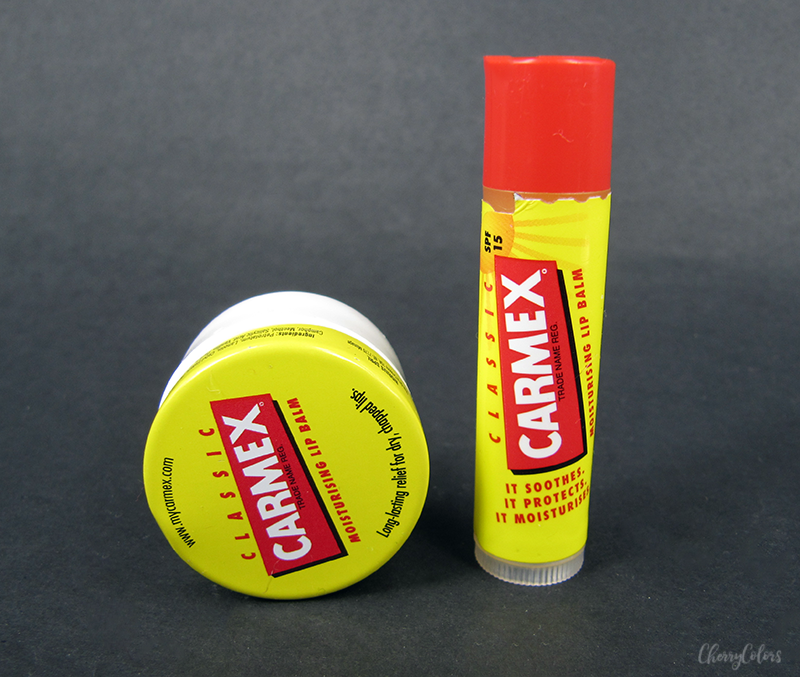 Carmex Jar vs Stick lip balm - Cherry Colors - Cosmetics Heaven! We've all seen these two products in the store (here it's Muller). And usually, we all think they are the same product, except in a different packaging. But is it so? Let's find out! 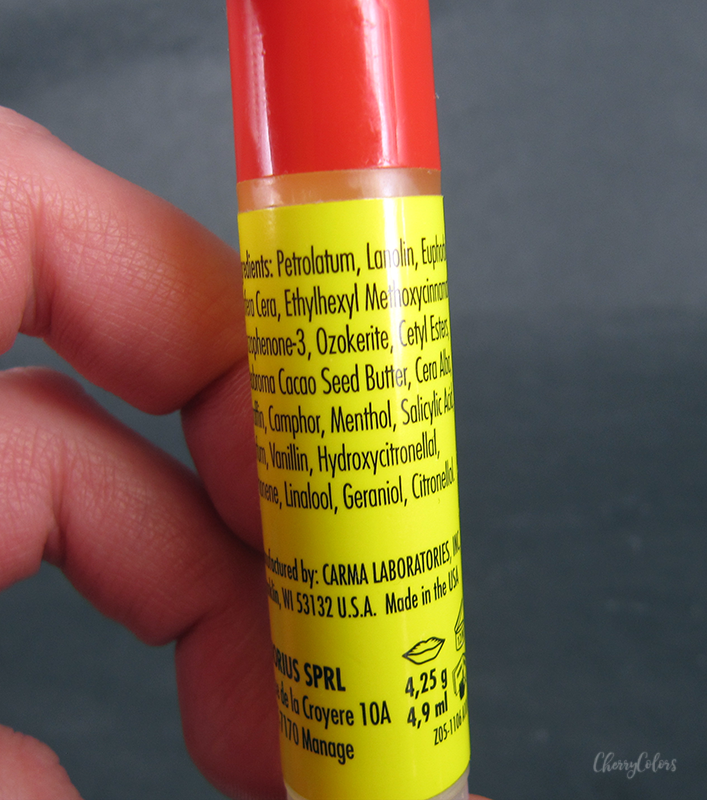 The iconic medicated lip balm that generations have relied on to soothe and protect dry, chapped lips. Petrolatum, Lanolin, Cetyl Esters, Theobroma Cacao Seed Butter, Cera Alba, Paraffin, Camphor, Menthol, Salicylic Acid,Vanilin, Parfum, Hydroxycitronellal, Limonene, Linalool, Geraniol, Citronellol. How does it feel on the lips? For me, it has a cooling effect. I usually apply it before bed so it has the time to heal all it has to heal. After application it feels slightly hot (a moment or so) before it feels cold and cooling. A sort of menthol feeling. At first, I didn't like it but then I got used to it and now I enjoy it. 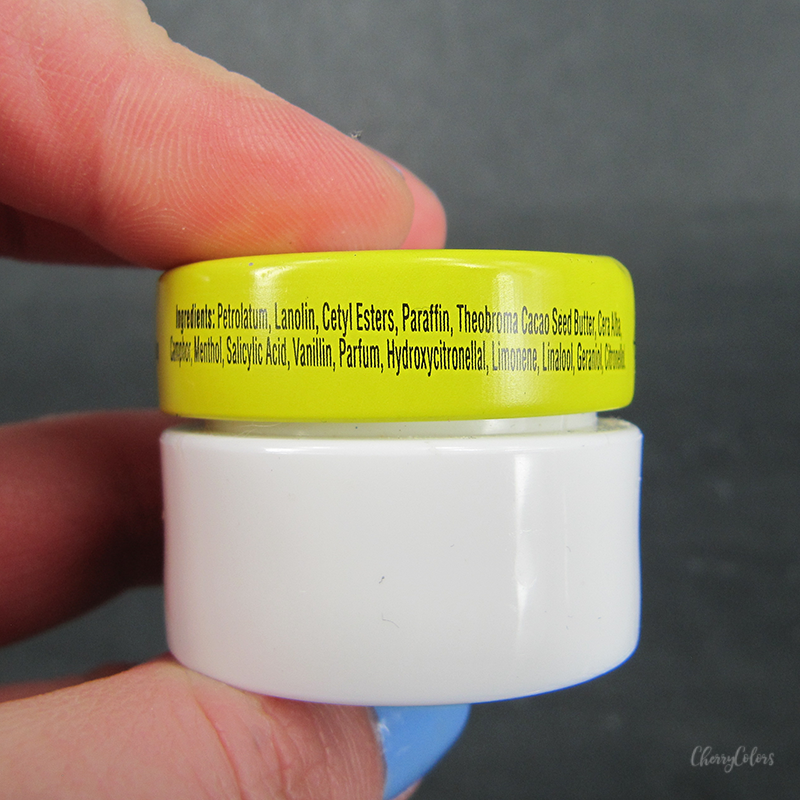 Petrolatum, Lanolin, Euphobia Cerifera Cera, Ethylhexyl Methoxycinnamate, Benzophenone-3, Ozakerite, Cetyl Esters, Theobroma Cacao Seed Butter, Cera Alba, Paraffin, Camphor, Menthol, Salicylic Acid, Parfum, Vanilin, Hydroxycitronellal, Limonene, Linalool, Geraniol, Citronellol. The first thought that comes to mind after applying the lip balm on my lips is IT BURNS! But after so many uses I can actually give it a more detailed description. It burns like I put cayenne pepper on my lips. Exactly like that. Not just pepper, but cayenne pepper. The feeling got me by surprise since I was sure both products were the same. It has a slight menthol feeling before the peppery tingling begins. Definitely not. 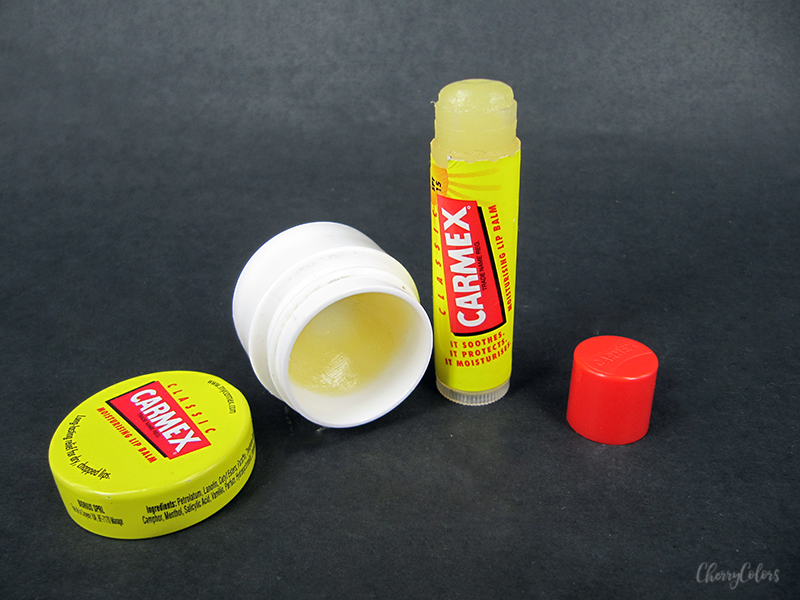 The Carmex in a jar has a strong menthol scent and leaves a cooling feeling on your lips while the Carmex in a stick has other extra ingredients in it and it leaves a mostly peppery feeling on your lips. It's not pleasant and I am not a fan but with use, I got semi used to it. I must add that finding the exact INCI ingredients online was impossible, so I had to type them out from the packaging. Since I prefer the menthol feeling I use that one the most but I do agree that the stick is more hygienic and easier to carry around. So, which one do you like the most? Let me know in the comments.